Yup, you read that right! YouTube is testing out, with the hope of implementing *fingers crossed* a fact-checker to combat fake news. That being said, who else can relate to instinctively running to your phones for an answer to a question. Ironically, this generation all grew up being told, “don’t believe everything you see on the internet!” Well, somewhere along the way, fake news went from being something unheard of and debated about, to being a full-blown THING. It seems as if we can’t post anything on Facebook or Instagram without doing our due diligence beforehand, to make sure we have all of our ducks in a row and aren’t spreading misinformation. Having a fact-checker has become so much of a necessity that names as big as YouTube are implementing “fact-check” pop-ups, in an effort to clean up their platform as well as limit the amount of fake news being leaked out into the good ole World Wide Web. FINALLY good news about the internet, YAY! How Does The Fact Checker Work? At this point, you’re probably thinking, “How would this work?” Creative Label is here to tell you how! 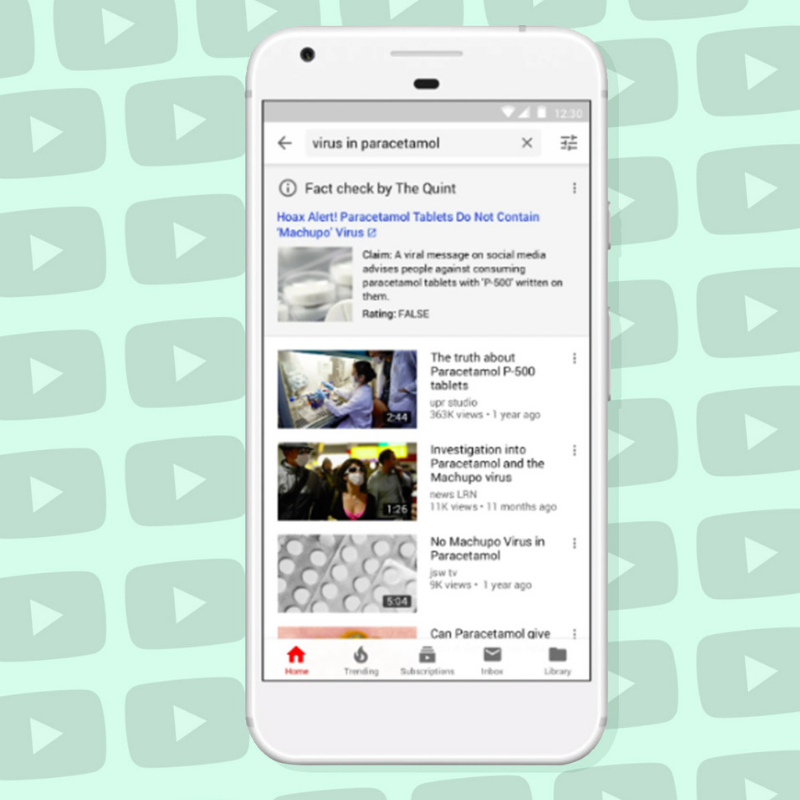 In an effort to combat fake news, when a user searches certain sensitive topics, YouTube will generate disclaimers with the intent of informing potential viewers of misinformation. This could be especially helpful when racial tensions or violence related information is spread since these are some of the most damaging fires that need to be put out (not to minimize the importance of shutting down the next J-Lo and A-Rod rumor!). The tea isn’t finished. We have a snapshot of what this rollout would look like. After the spread of fake news reports regarding the 2016 US Presidential Election, Facebook implemented a similar fact-checking program. With over 1.9 billion monthly users, like Facebook, YouTube looks like it may become the target of the next big investigation due to their largely impactful influence. While conspiracy theories might be a bit of a hobby to some (don’t worry, we’re slightly guilty too), it can become confusing and misleading depending on the audience. Implementing something that will hopefully minimize confusion during ALREADY confusing times sounds like a good thing to us! But YouTube, just promise you won’t filter out all of the hot tea being spilled about Hollywood’s A-Listers, mmkay? Thanks! How do you think implementing this fact-checker would help today’s society? Let us know in the comments!